All about the best team in the land and all the world Manchester City!!! 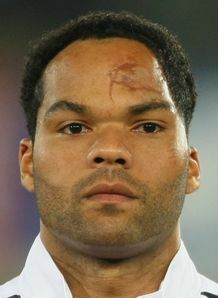 : Joleon Lescott finally signs!!!!!!!!! City have finally completed the signing of Everton defender Joleon Lescott on a 5 year deal, the dragged out transfer is now finally over. I can't say Lescott would have been my first choice when buying a new centre half and we have payed way to much for him, he is a good player though and I am sure he will add some more quality to our squad. I can't see Lescott getting into our team straight away, for me Dunne and Toure are playing well enough at the moment to justify their place. Who would you drop to fit Lescott in the team, that's if you would drop anyone at all? I have a feeling I know who most of you will say! keep the back 4 the same! still, i think the moment dunne or bridge make any slip up they'll be out! It's pretty difficult to pay 22m for a player and then put him on the bench... I hate to say it but Dunne has to sit a few out. I love the guy and think he has improved vastly since Toure replaced Richards, but we wont drop Toure and have to put Lescott in the squad. Did you see his last two competitive games? In the Cup Final and against Arsenal? LOLOLOLOL!!! He's shown himself to be the lowest form of sportsman with his inept performance when playing his last game for Everton. Did he accept wages for that week's work? LOL!!! Another man of character to join the arab club! What a sad collection of bounty hunters they've hired. Its only you rags who judge players on 2 games - why not look at what he's done over his career idiot! And hey its only £22million - thats pocket money to our guys.